Internet video is nearly ubiquitous, with countless apps and smartphones letting people create and post tons of movies on a daily basis. But it wasn't always that way. A generation ago, breaking out the camcorder was something of a production, signifying a special occasion. Today, it's becoming harder and harder to view and share those older videos because the equipment used to shoot and view them has become obsolete. 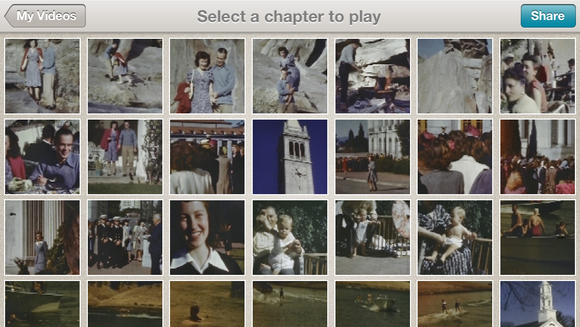 That's where YesVideo, a cloud-based platform for storing photos and home movies, comes in, offering a new iOS app. YesVideo, the app, lets you view and share vintage videos and still photos of friends and family—often shot in ancient, long-defunct formats—on your iPhone or iPod touch. 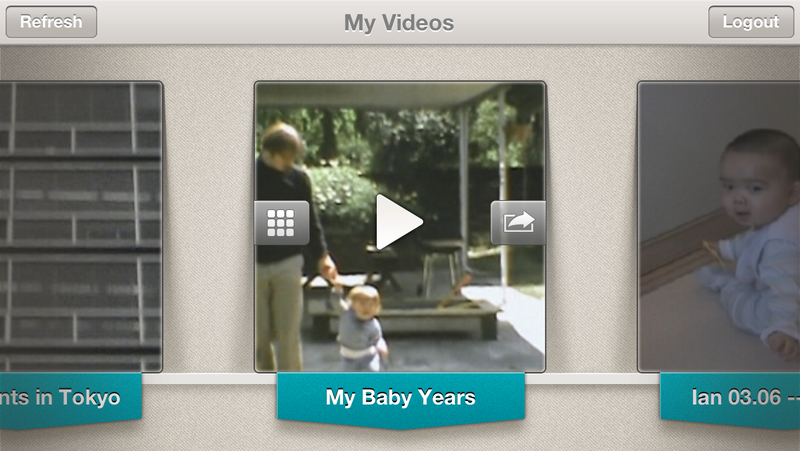 YesVideo stores all home movies in the cloud and accessible on your iPhone. YesVideo itself is not new. The company started in 1999 as a service that digitized personal media from VHS tape, mini DV, slides, photos, Super 8, 16mm, Beta, and other formats. It handles only non-commercial content. The YesVideo app is designed as an easy entre into all your content on-the-go, letting you view full video albums or chapters and highlight videos, and privately share with specific friends or family via email or Facebook. YesVideo's service is the back end for mega-retailers like Walgreens, CostCo, Walmart, Sam’s Club, CVS/pharmacy, Rite Aid, and others. Customers drop off their legacy videos at some 34,000 retail locations nationwide, or order directly from YesVideo's Website. 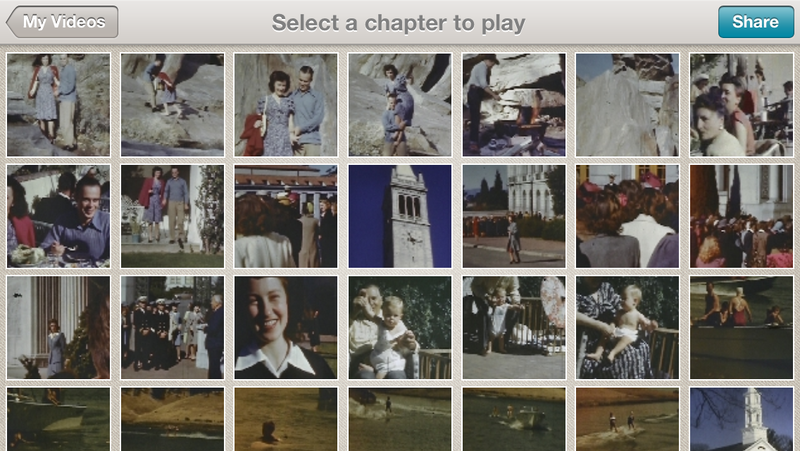 You can send your old home movies in any box, or you can request an EasyShip Kit from YesVideo. Digitization costs about $20 per video tape; film reels are billled by the foot. The app intelligently breaks up long videos into chapters, letting you choose what you want to see without extensive scrubbing. The service solves the problem of accessing personal video shot in older formats. But it also salvages the content for many years of future viewing. Significant decay of analog media sets in over time, and eventually this media would not be viewable at all. In digitizing and organizing your video, YesVideo creates custom scenes, repairs splices, cleans dust and dirt, stabilizes images, and reduces flicker.The videos are broken up into intelligent chapters with themes, music, and a highlight video. A team of 350 employees screens each video for quality control. When it's done digitizing your videos, it returns your original media along with new DVDs. YesVideo’s service includes free and unlimited cloud storage. 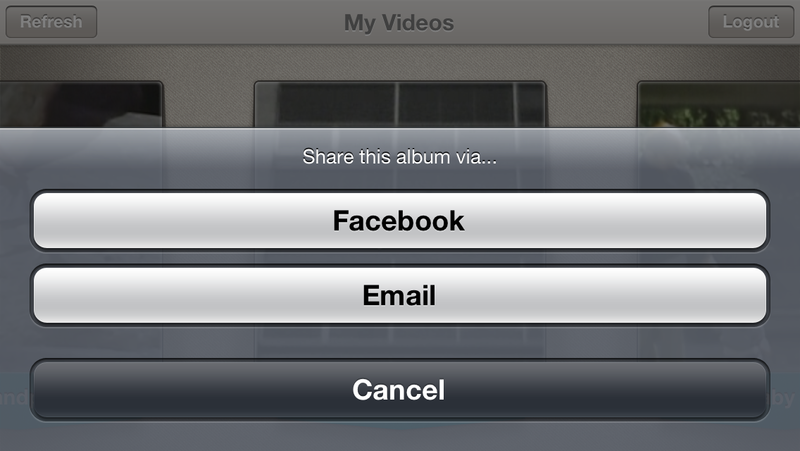 Share photos or videos on Facebook or via email. Once delivered to you, these videos can be easily edited and viewed on any viewing device. By connecting an iOS device via AirPlay to an Apple TV or HDTV, videos can be streamed directly onto a large living room TV. The iOS app is available free at the iTunes store. It's optimized for iPhone 5 but can run on iPhone 3GS and later and on the 3rd, 4th, and 5th generation iPod touch. It runs on iOS 6.0 or later. An Android app will be available soon; meantime, Android and other OS users use the HTML5 site available via their mobile browser.